Kongregate is an entertaining casual gaming social network that hosts free online games and has more than 20,000 free games to play. The website is a place where gamers can gain ranking and earn awards. The picture seen here is a snapshot of a game I persevered with until something else took my attention. 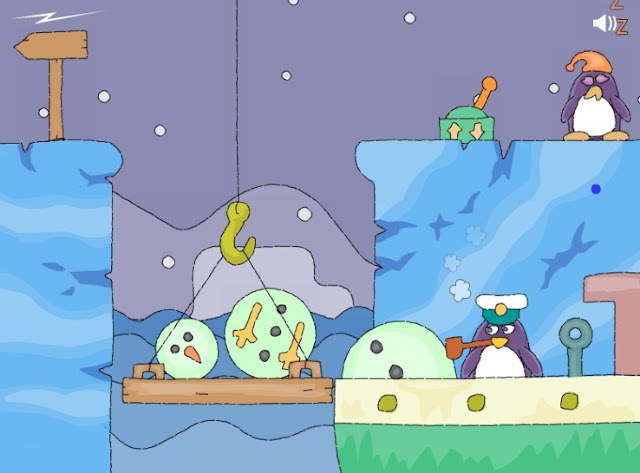 Its a "click the mouse centric navigation style" of naive cartoon animations where you click handles, boulders and contraptions until you can make the penguin pilot exit from the game area. This precipitates the next level and so on and so forth. Click here to go directly to that game or go to the website, where you can choose from thousands of alternative interactive games. To learn more about this gaming web portal, see Jim Greer CEO of Kongregate explain why he views his gaming platform as the youtube equivalent for online games. I imagine that there are likely to be, many tablet, ipad and smart-phone users enjoying themselves playing games at Kongregrate ! I have to admit to having been a fan of Amon Tobin's music for about 10 years and "Esther" continues to convey his impressive creative power of at times unnerving tunes ! Charles De Meyer,(aka Chuck Eklectric), an up-and-coming Belgian director, first met Amon Tobin in 2007 just after the release of his Foley Room album, and proposed his idea for a short film for the song. This very creepy sci-fi snake robot animation with a dramatized romantic twist is a mind-blowing experiment with narrative live action, with superlative modeling and rendering. All the details in the 3D snake robot and near perfect synchronization with the music makes this a frighteningly entertaining media art experience. Amon Tobin's website has giveaways and a brand new release to mark the occasion of this, his official videoclip of Esther. Related post of Amon Tobin, here. phew, this is some cool entertaining reinterpretation of Inception dreaming if there ever was one ! Infinity, from directors Alex & Steffen, (SpyFilms), strikes a cord of a futuristic real time interactive Disney World. where toy-land and futuristic are morphologically wedded. Batelco, or Bahrain Telecommunications Company has grown to be the biggest provider of internet, mobile and telephone services in Bahrain, and are possibly hoping to heat sink new markets or merely having some fun making a PR viral video in downtown Toronto, Canada ? That morphing speed train roller coaster really delighted me, how about you ? 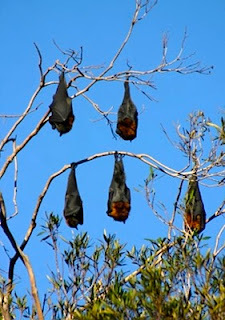 Nevertheless, here now if you feel up to it, watch how all those squizzoid sci-fi visual fx and outrageous yet seductive fanciful stunts were post produced is the making of Batelco Infinity. is directed by Tatsuyuki Tanaka for Studio 4°C, tells a story of a young girl set in a crumbling sci fi dystopic future filled with grotesque and bizarre creatures, with bodily transformations, man-machine interfaces, and cybernetic monsters. Well worth the 13 minutes duration, belongs to a series entitled "Genius Party Beyond" released recently as a DVD. Go here to read a thorough review of it. is an entertainingly sublime piece of music with an equally mind numbing ray tracing animation, and is one of my favorite chill out tracks by Swedish electronic music composer, Mosiak. Yes, and the animation (which is not an official video for the music track), could almost seem synchronously relevant, but is playing a game of hit and miss in your relaxed state of mind whilst your attentively listening and watching ! It seems everyone who hears this piece of music is hanging out to understand what - Loell - means if anything ? But I hesitate a guess, that it's short for low owl ! Say or sing, lowowl .. whilst the track is playing more than a few times and it actually sounds as if its an onomatopoeic transliteration the tone the piece makes! 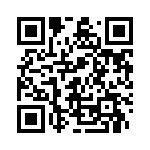 Should you feel like hearing and or getting more of this cool composers work, then go to Mosaik's official site for downloads and more info. Linda Audyová created this entertaining infinitely zooming-in animation for her graduation project at Tomas Bata University, in Zlinin, Czech Republic. From the ominous silhouettes of the opening scenes Linda takes us on an enigmatic journey of microscopic and cosmic dimensions that stresses the inter-connectivity of everything. Although subtly executed the travel of the whole animation looks to be made by panning and zooming over one large drawing, albeit elevated by the suitably mysterious music of Marek Gabriel Hruška. are in my opinion, web toys or website toys since they largely involve a user's willing participation in interactive play - a kind of virtual art. The first thing you'll notice when you visit Tolia's website is that mousing over the words on the page surreptitiously reveal appearing and disappearing images, in essence the samples of each listed web toy. The image here in this post is snapped from the Lab - Illusion. After you click that link you'll notice when you move the page up and down with your mouse that there is a rectangle that floats over the other images. 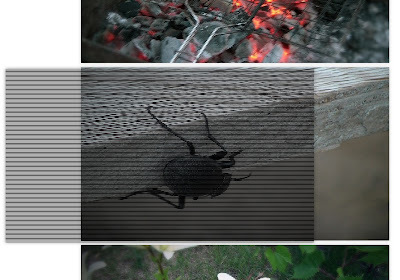 If you grab that gauze rectangle with your mouse and drag it up or down left or right, the other images appear to behave like little wiggle movies. This action is as a result of moire interference where pixels of the gauze cause an interruption of the light and shade with the intersecting image below, or adjacent to it - a kind of stop-motion animation. To learn what little there is about Tolia and discover which other web toy experimenters he likes, then the Grateful Grapefruit blogger, managed a small interview, with him, here. Is an emotively entertaining short piece of superb stop-motion animation that firmly cements a new genre of film making into the mainstream of media art; created with the geeky favored toy box of Lego bricks, together with some cleverly orchestrated handmade visual and software effects. Although captured on a Nikon D40x and authored in Final Cut Pro, the technical skill used to display large amounts of artwork is in the use value of treating Legos like clay. The River won the best cinematography category of the bricks in motion 2009 star competition in which Nikolas Jaegar provides us with an alluring example of what can be achieved using technically astute Diy effects. The underlying theme bears some semblance of a story, requisite with the history of the American Civil War, however bear in mind though The River has got an existential kick to it. "A lot of people have asked me about the plot. I'll say that some parts are more clear than others, and that's really my intention. I don't want it to be a film where you reach the ending and go "oh, THAT's what was going on", not at all." Both the film and music is by Nikolas Jaeger, with voices from Leonardo Liccini, Erik Wiedenmann and David Wardell, and Civil War sound effects provided by Phil Sepulveda. Creative ecology activist Natalie Jeremijenko puts art to work, to address environmental issues by combining engineering know-how, public art and a team of volunteers. Among her real-life experiments are; walking tadpoles, texting "fish," planting fire-hydrant gardens and more. She outlines a paradigm shift in how we administer medical health in order to usurp the ecological disaster we are continually creating in our globally warming world. In the video below she interprets health as outside of the body and a collective effort rather than an individual one. She clearly exemplifies how displacement is the wrong method to use in dealing with environmental pollution, in relation to the oil containment's running down the roadways and gutters of Lower Manhattan. In this fast paced wordy but articulate TED lecture Natalie interweaves art, engineering, environmentalism, biochemistry and more to create real-life experiments that enable social change. Natalie Jeremijenko is based in New York, but currently in Sydney until December 10 working on her latest collaboration: Remnant/Emergency ArtLab project. 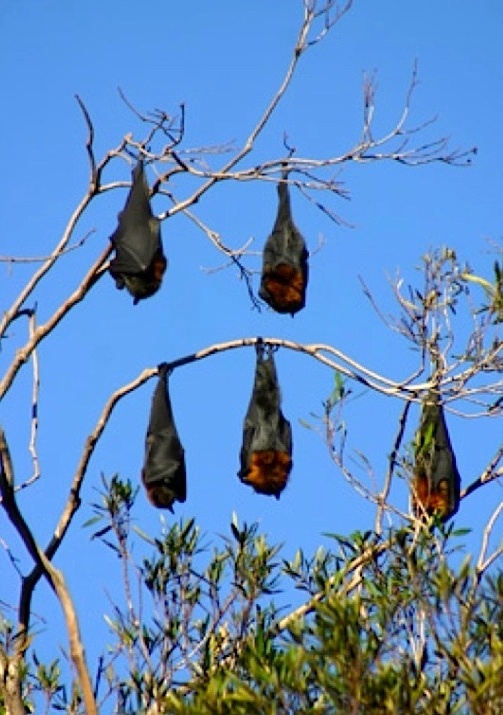 "The focus will be on the issues surrounding the long-running attempt to remove a large colony of Grey Headed Flying Foxes ('fruit bats') from the Sydney Botanical Gardens. It will be conducted between the 17th-30th November in Sydney with outcomes presented both at the UTS Gallery and at the International Participatory Design Conference at UTS. " I'm certain many a Botanical gardens enthusiast will be crossing their fingers and hoping with baited breath that she succeeds with her project ! Musical instrument maker Luke Jones has invented a curious double length guitar which is an adaptation of ideas taken from Glenn Branca, Bart Hopkin and Fred Frith. 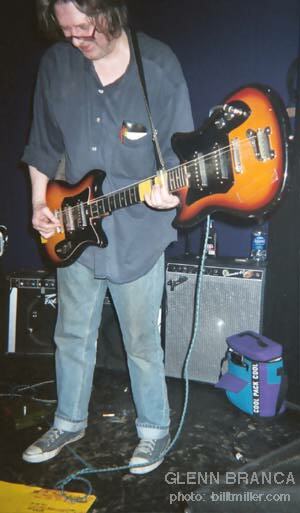 Glenn Branca a highly influential avant-garde composer and guitarist known for his use of volume, alternative guitar tunings, repetition, droning, and the harmonic series, at one point in his career, created a double body guitar (seen here). The double length neck guitar is able to produce either singular or double sounding harmonics in that the string length beyond the slide of the first neck only produces harmonics (which are then amplified by the pickups at that end of the guitar). In the following video Luke demonstrates his sweet sounding Harmonic Guitar. "experiments with deployable, transformable and bistable structures, auxetics and linkages." 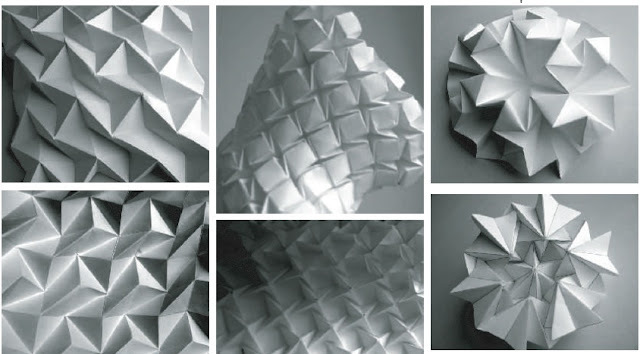 In pursuit of Daniel's goal he "seeks to find the geometry, and the topology of a structure – the overall arrangement of elements and which connects to which." I'm guessing those "skins" may have some engineering applications, in the aerospace and architecture industries ? The really apt music track is Grubby Weasel by Tipper. is an entertaining little video with amazing set design using giant props made out of cardboard about bad things that could happen. "The film is self explanatory made up of seven short scenes. Playing with scale and bringing objects to life, the film creates a subverted world where the mundane becomes absurd." Apart from the cool constructive effort of this sweet little film, I'm intrigued as to know when a film is not a video ? Nevertheless, I for one have a propensity here in this blog to view this kind of work as nothing short of a mighty fine piece of Media Art !